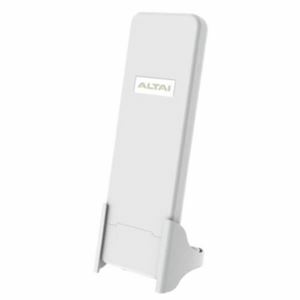 Complementing Altai’s super WiFi base station coverage solution are the C1an high-performance CPEs, which employ a patented smart-signal processing algorithm and an antenna designed to increase WiFi signal strength (transmission and reception) as well as the client’s throughput. High-performance antennas with ±45° dual slant patch antennas – optimizing performance when operating in conjunction with Altai A8n series antennas. The C1n operates in the 2.4GHz band. The C1an operates in the 5GHz band.